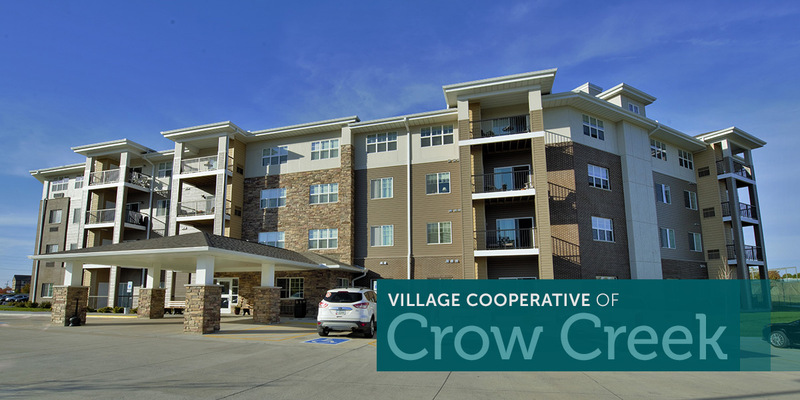 The Village Cooperative of Crow Creek in the Quad Cities, IA consists of one and two bedroom homes for active adults, 62+. This senior cooperative community offers maintenance-free living and plenty of space for you to entertain your friends and family. 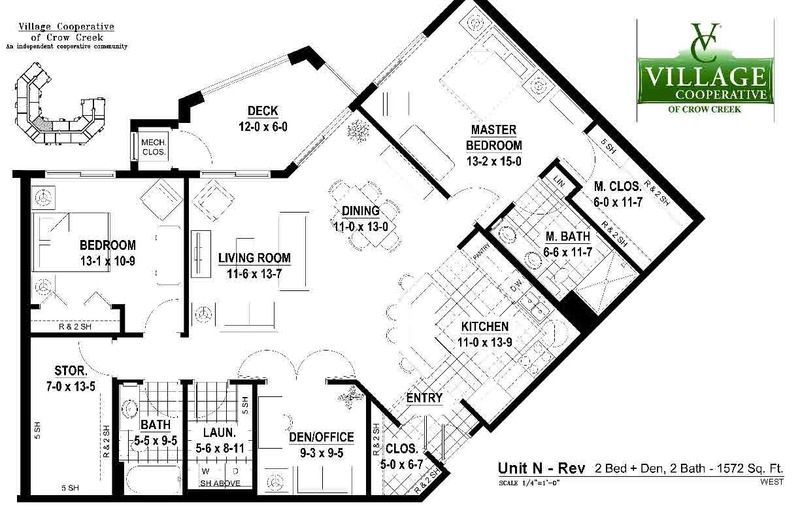 Standard features include a community room, reading areas, club room, woodworking shop, guest suite, garden plots, “while-you’re-away” services, underground heated parking with a car wash bay – all wrapped up in a fully secure building. The homes are equipped with all appliances including a washer and dryer, in-home storage, walk-in closets and individually controlled HVAC systems. 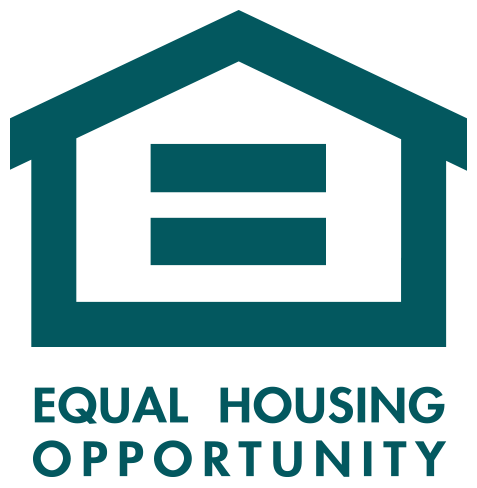 Village Cooperative is a community of active adults who want to live with other people their age, but not in assisted living. It offers maintenance-free living with all the benefits of home ownership and many unique amenities. 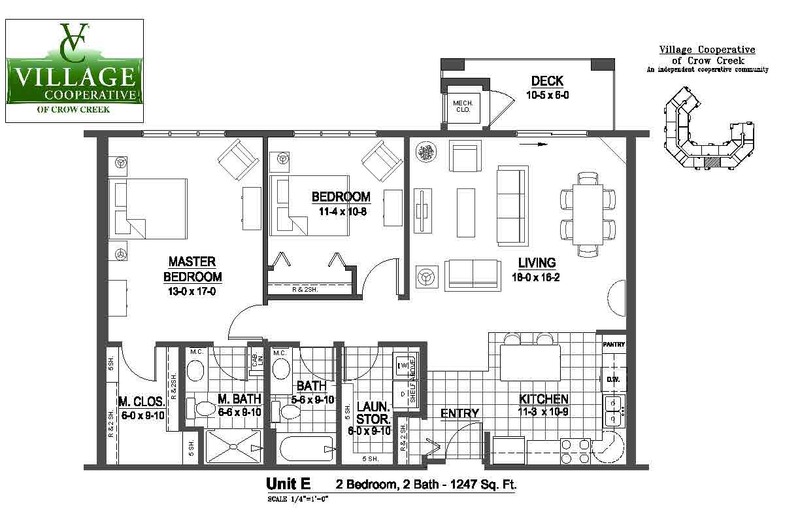 We also have HANDICAP-ADAPTABLE HOMES. For more information, contact us at crowcreek@reedevelopment.com or call 563-355-4044. 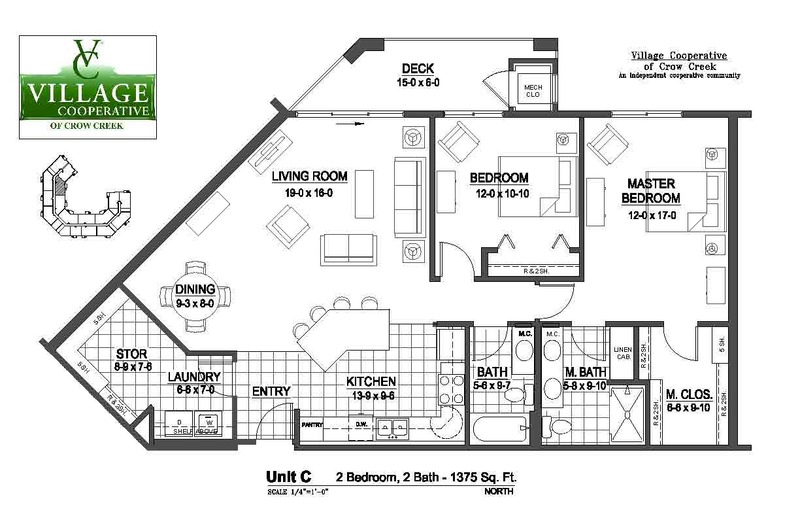 1 bd, 1 ba, 897 sf. 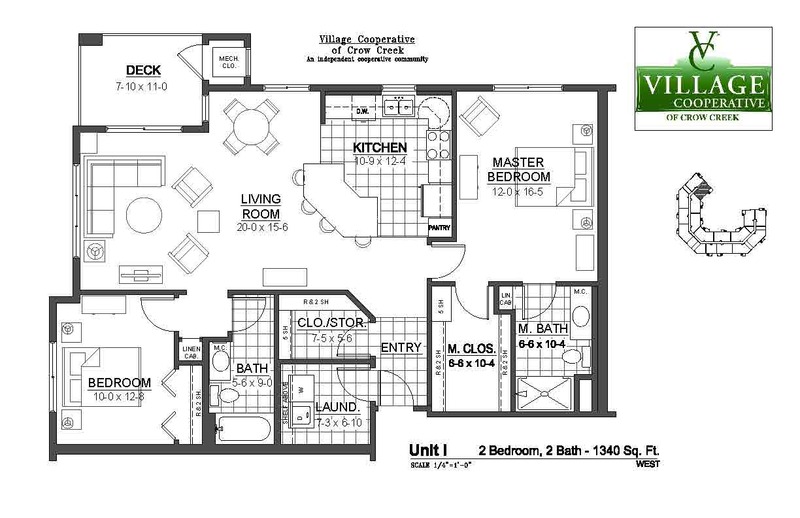 2 bd, 2 ba, 1,315 sf. 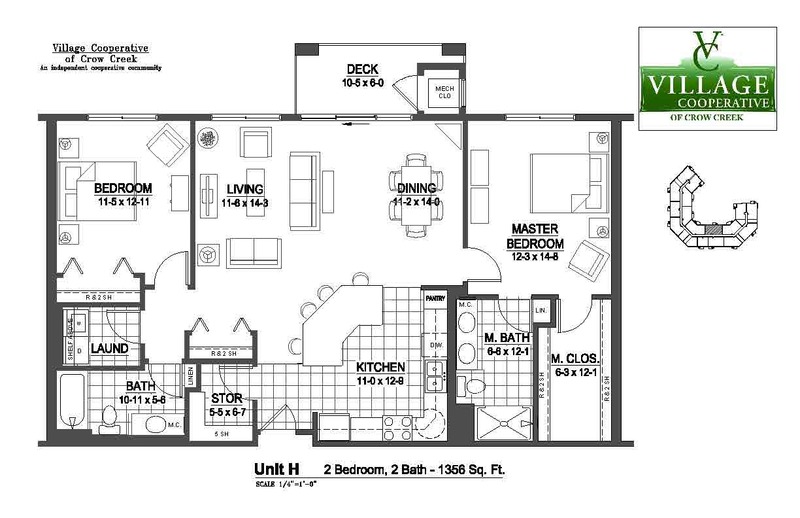 2bd, 2 ba, 1,375 sf. 2 bd, 2 ba 1,246 sf. 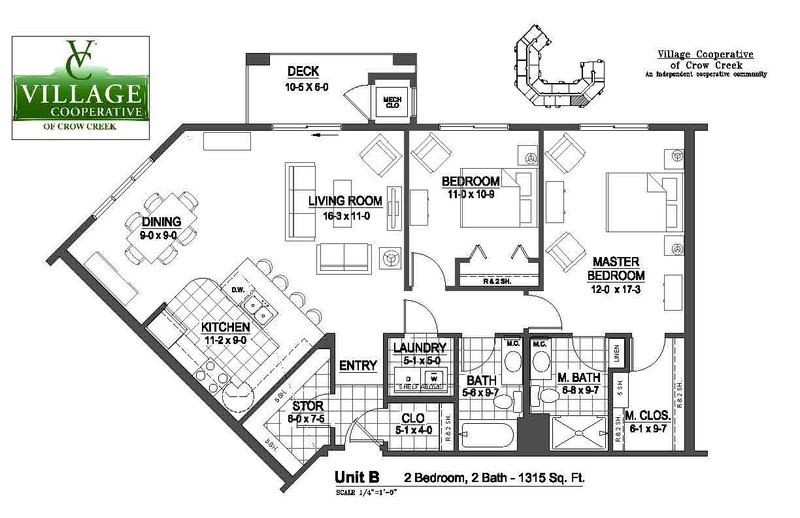 2 bd, 2 ba, 1,247 sf. 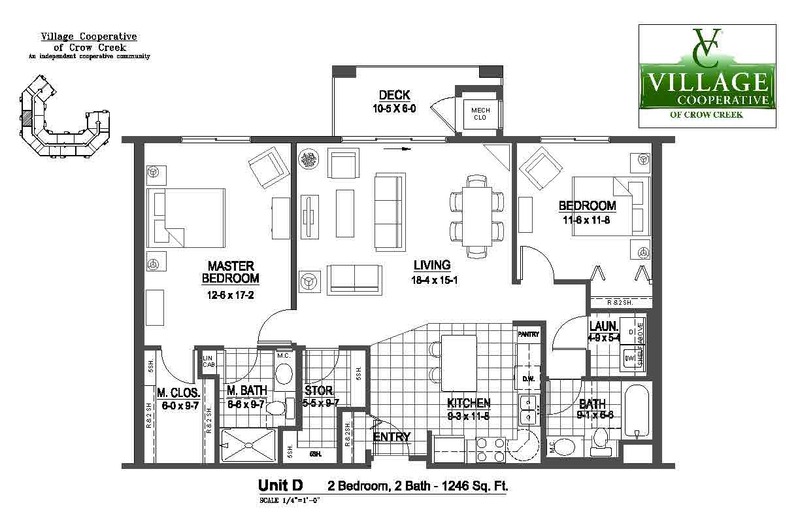 2 bd, 2 ba, 1,492 sf. 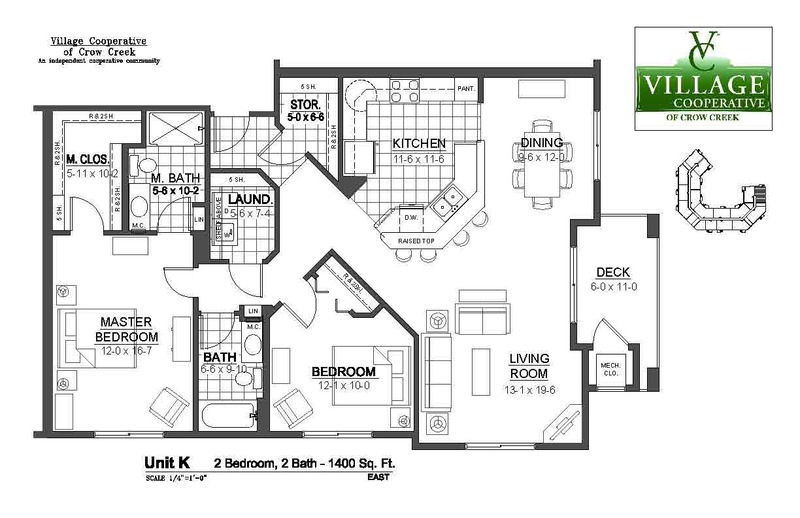 2 bd, 2 ba, 1,497 sf. 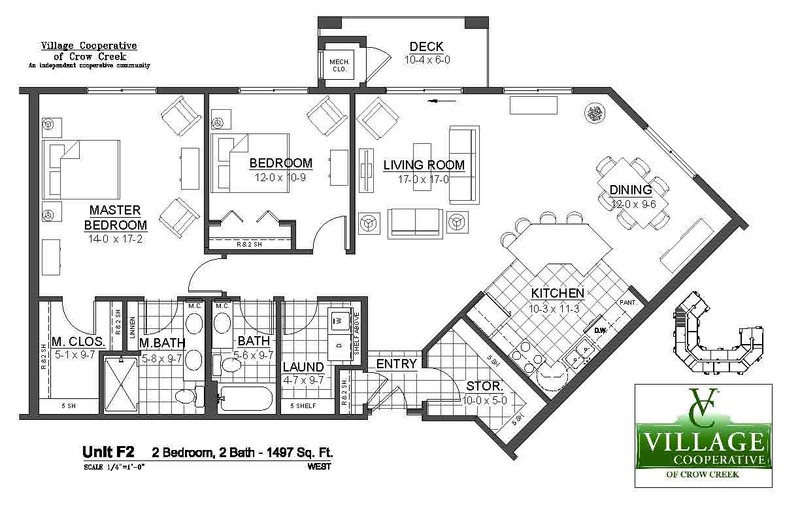 2 bd, 2 ba, 1,356 sf. 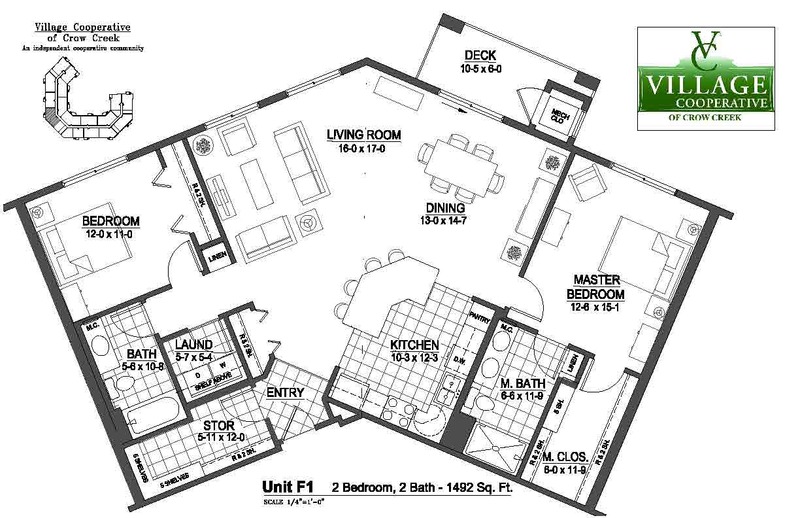 2 bd, 2 ba, 1,340 sf. 2 bd, 2 ba, 1,400 sf. 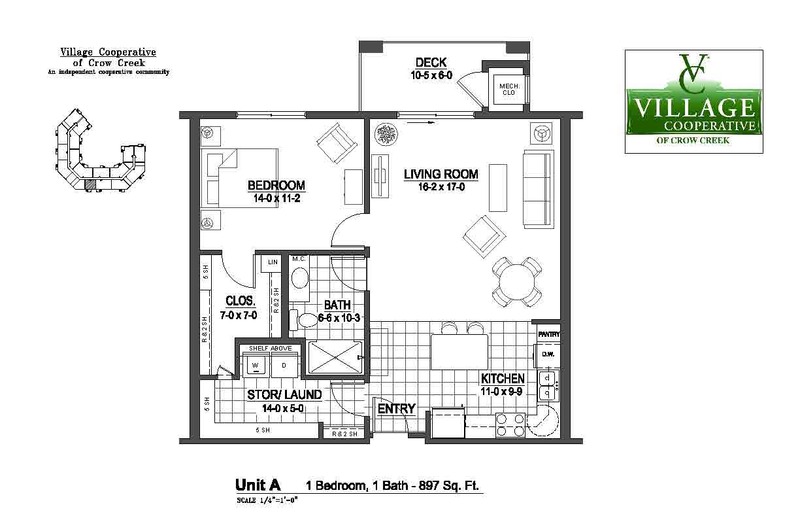 2 bd + den, 2 ba, 1,572 sf.